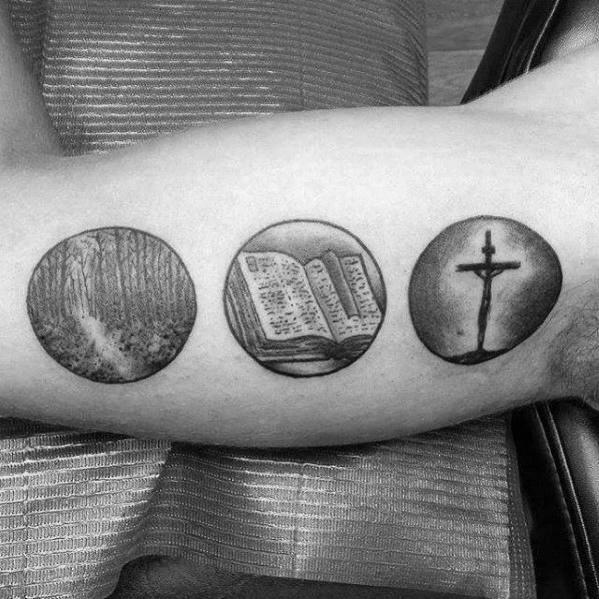 Religious tattoos have recently gained popularity. They are among the top tattoo choice for loyal tattoo lovers. 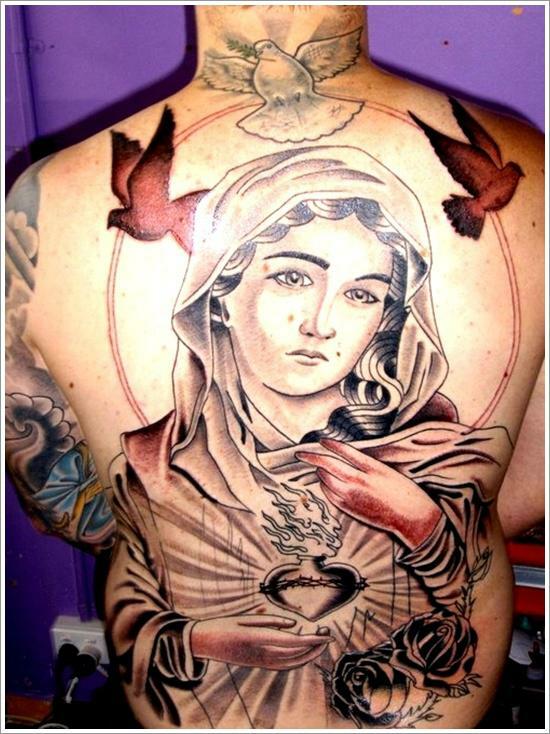 Religious tattoo show love and commitment to religion. 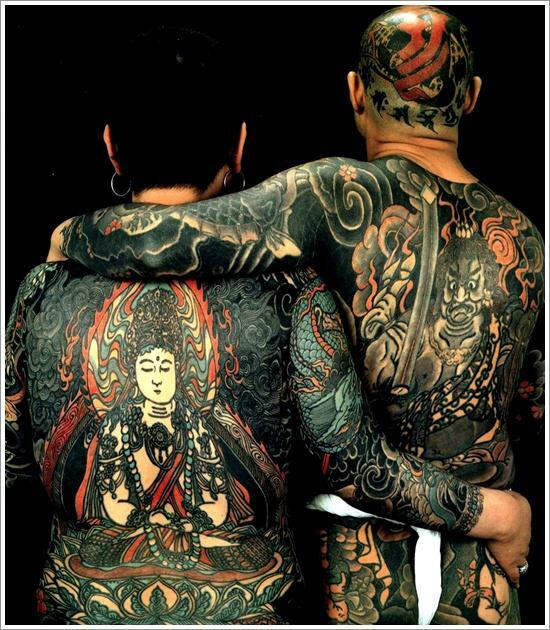 This fascinating tattoos have been shortlisted here for you to choose. 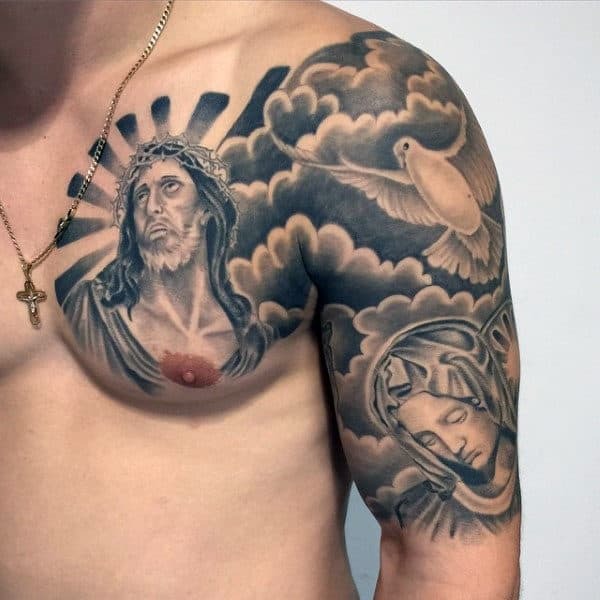 If you want to show off to the world your religious loyalty and the quality of your tattoo that gives you confidence, this is the best place to be. 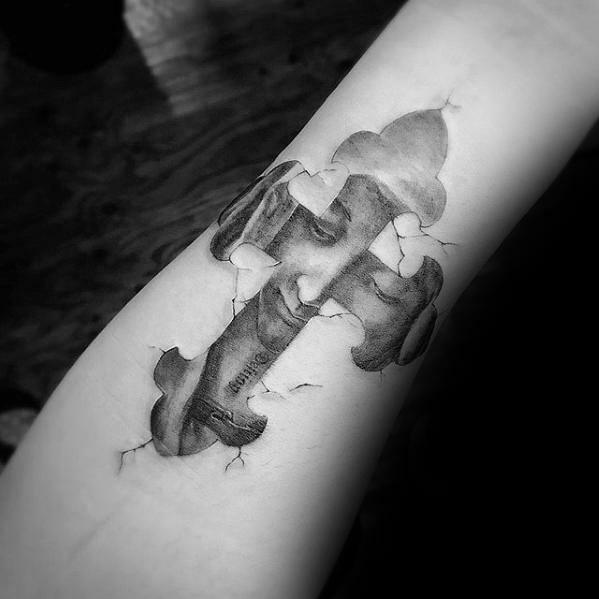 This is a Christian tattoo that shows a face enclosed in a cross which is laying on cracked skin. The idea and design is charming and makes the tattoo very attractive. Among The top 25 most amazing religious tattoo ideas for men is this cool cross mounted on the ground with cowboy boots on its front. It also has cap hanging on the top of the cross. 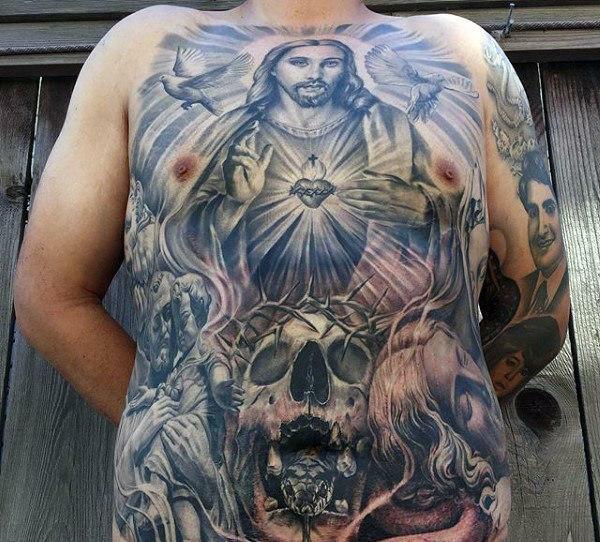 If you’re looking for some cool religious tattoo this is certainly one to go for. This is a beautiful recreation of the Hindu God called Ganesh, who is the giver of Knowledge and wisdom. He also protects his people from the obstacles of life. This tattoo gives confidence and maybe might make the one having it feel smarter and braver. The color combination makes it very attractive and cool for men. 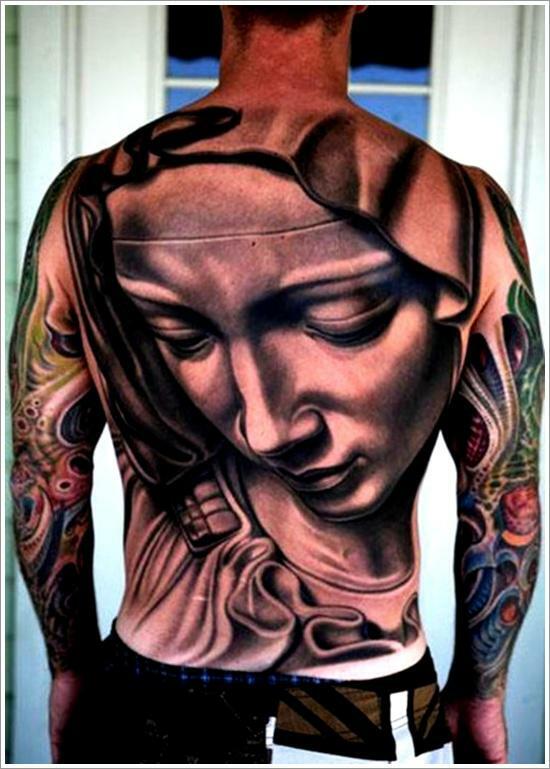 This is an incredible tattoo that covers the whole of his back. There are three birds and woman with a round holy glow. The detailing is simply stunning especially the shades of color from her hair to her hands not leaving out her cloak. Every little detail is very symbolic. The emotion in this tattoo is touching. There is a feeling of sadness and great hope at the same time. The man, the woman and bird all have symbolical meaning. 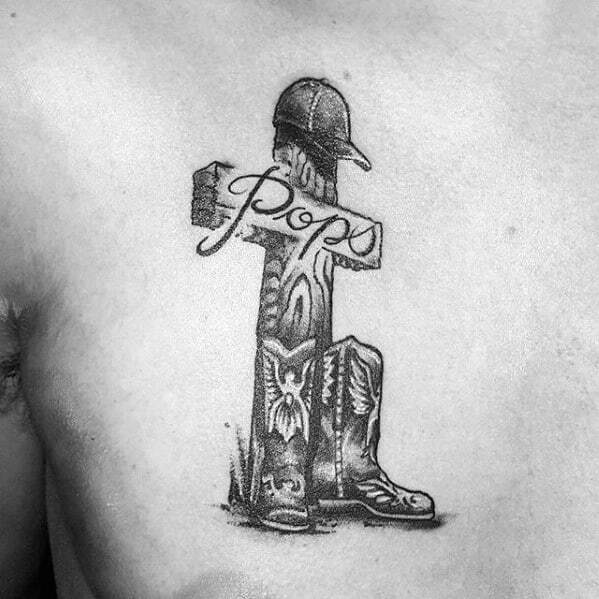 The tattoo is also very detailed and perfect choice for you. This one should be in your shortlist. The details and design of this tattoo is simply jaw dropping. Its shows good above and evil below. The quality of the tattoo is also outstanding not leaving out the color combinations. If you’re looking for more detail and symbolism, this could be one of the best tattoo to go for. 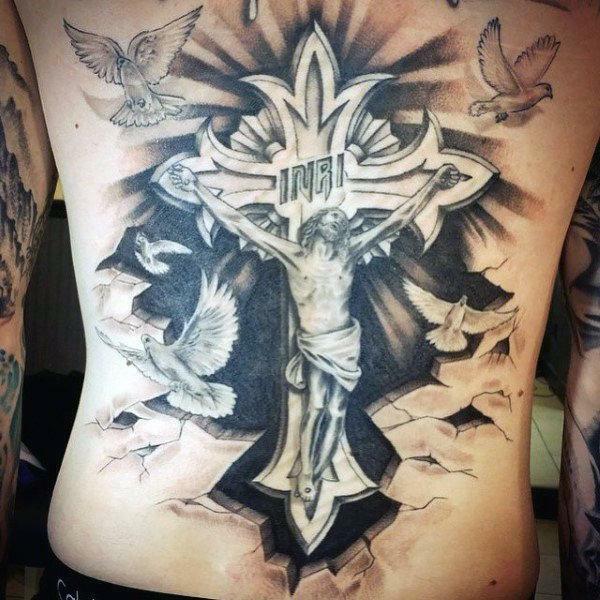 This tattoo has beautiful coloration and shading of a cross. The skill used was top level. The names of his beliefs are strategically placed with some short verses. This tattoo is designed for the arm certainly should be on your shortlist. This is a good way for Christians to show that they remember the death of their savior. The cross enclosed in the pupil of the eye is extremely symbolical. The eye has extreme detail. The graphical detail on this tattoo surely required some super skills because the art is simply beautiful. The cross is enclosed in a platform that is cracked open by its emergence. This shows an approach to freedom. 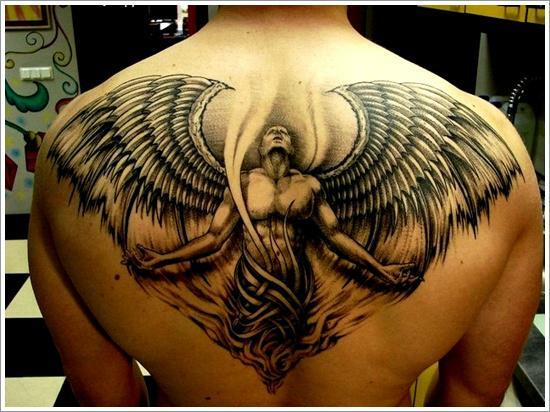 It is the perfect tattoo for you to take on the back. 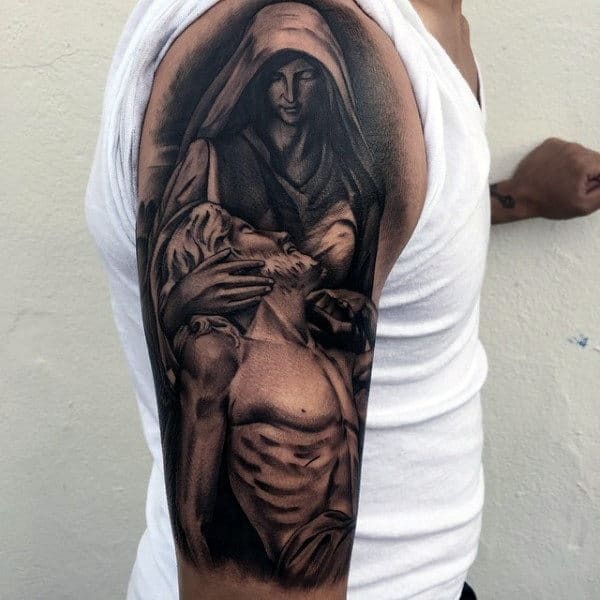 One of the most captivating tattoo you will find in this list, it shows extreme graphical photo of Jesus on the cross with beautiful color contrast far background to the fore ground. 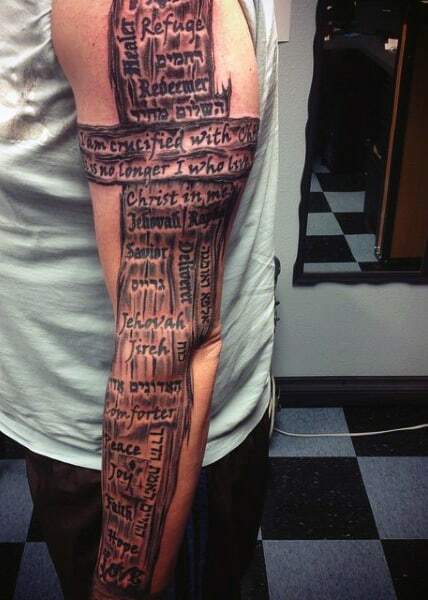 For those who have favorite quotes from their holy books this is an amazing choice of tattoo. One of the best amongst the top 25 most amazing religious tattoo for men. 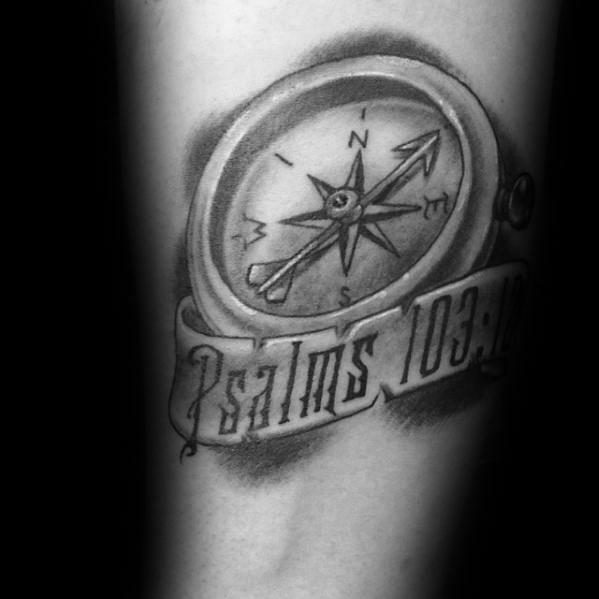 This tattoo is placed below the arm close to the shoulder. It shows the principles that guide your belief. Take this tattoo and have it with you everywhere you go, you will always remember what you belief in. 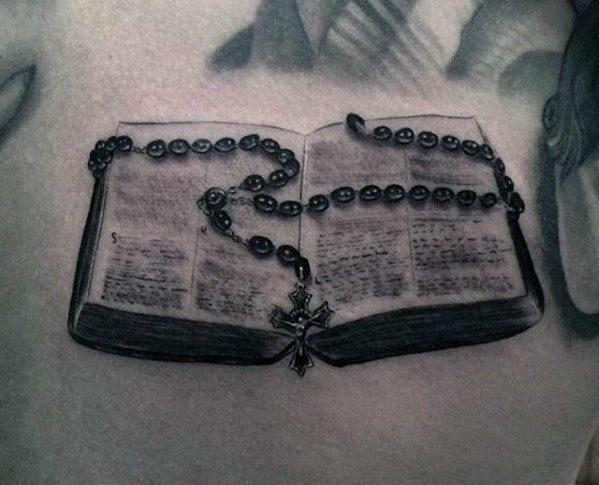 The rosary and the bible are a must have for Catholics. With this tattoo you can carry them everywhere you go. They have clear detail and are a good way to show off what you are all about religiously. Lots of ink color is used in this tattoo. The tattoo represents love for the native culture and, or religion. 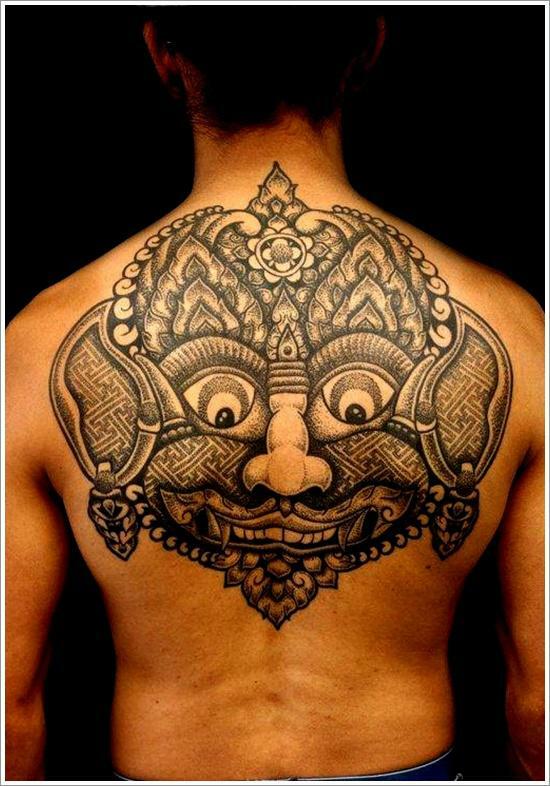 This tattoo is for those who want show their love for their heritage by tattooing their backs full. This tattoo required lots of ink, this means it was really painful. The skill level used was beyond expert since tattooing the whole body and getting it right is difficult. It is an amazing work of art and should be in your shortlist if you want to fill your body with religious love. The mixture of colors and the illuminating gold is unimaginable. The skill level was definitely on point. If you think colorfully about your religion you can choose this or modify it to fit you beliefs. No matter your belief there is a tattoo for you. This tattoo of a creature with two horns catching a snake by its hands is bizarre but unique too. 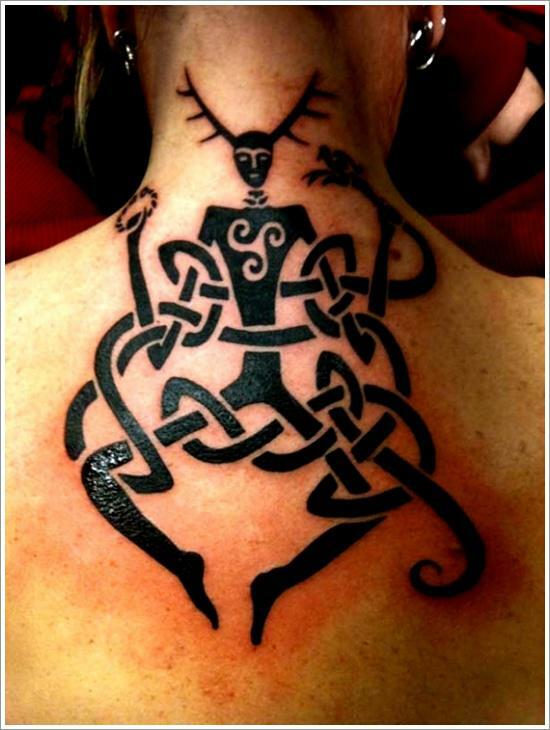 There is freedom of belief, if this is your sort of thing, then try this cool neck tattoo. 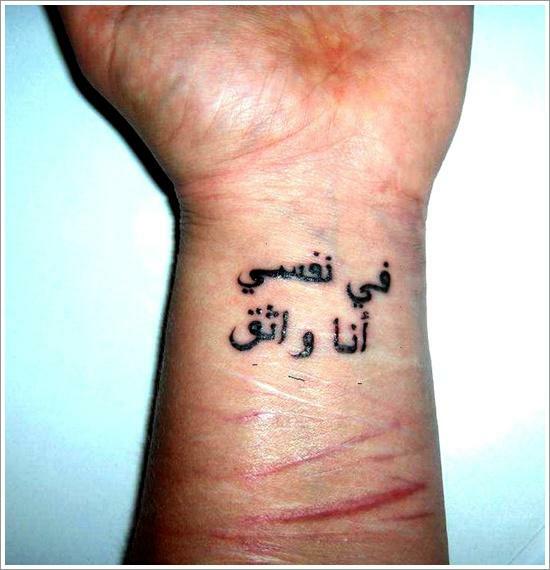 This small Arabic writing tattoo from a holy book serves as a quick reminder, in case some situation requires the remembrance of the words. This is a good way for you carry important verses that serve you best. This is very descriptive with scary aspects. The body of the winged man is highly details which is excellent work from the artist. Color is majorly black with different shades. 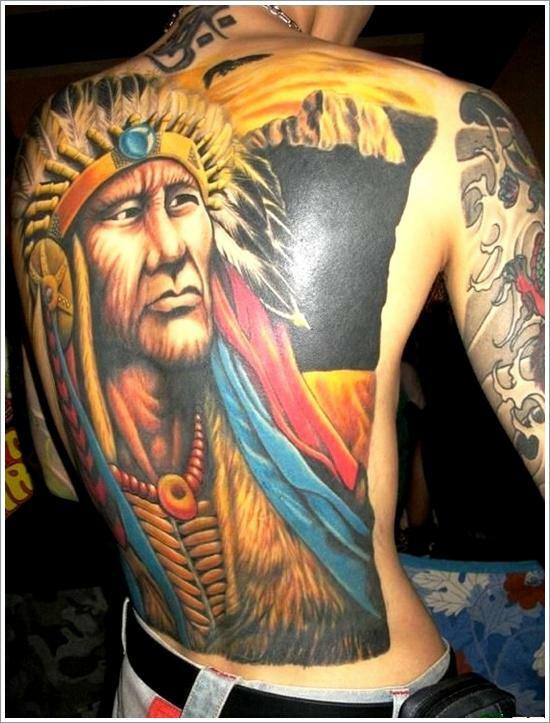 It is actually an amazing tattoo and should definitely be among your choices for the back of your body. This is another tattoo that fits well on the back, majorly on the upper spine. It shows incredible skills by the artist especially in describing the skin of the foo dog. This is one to think about. 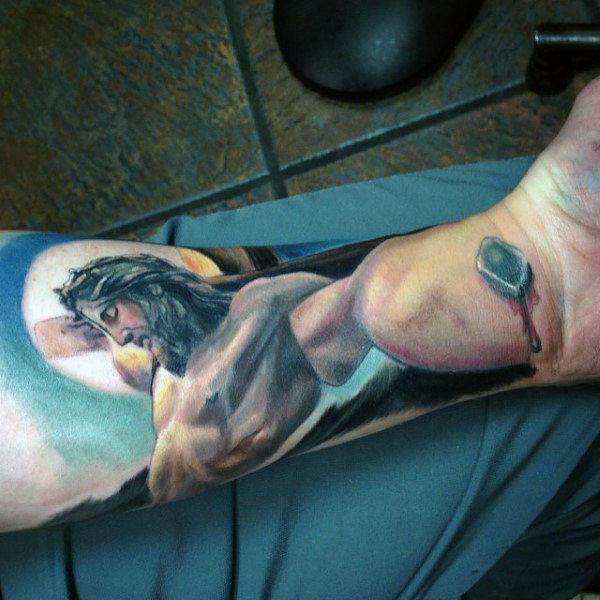 This is a beautiful and very symbolic tattoo especially to Christians. The son is held who experiences torture is held up by his mother. You are free to interpret this tattoo in your own way and have it on your arm to display it. 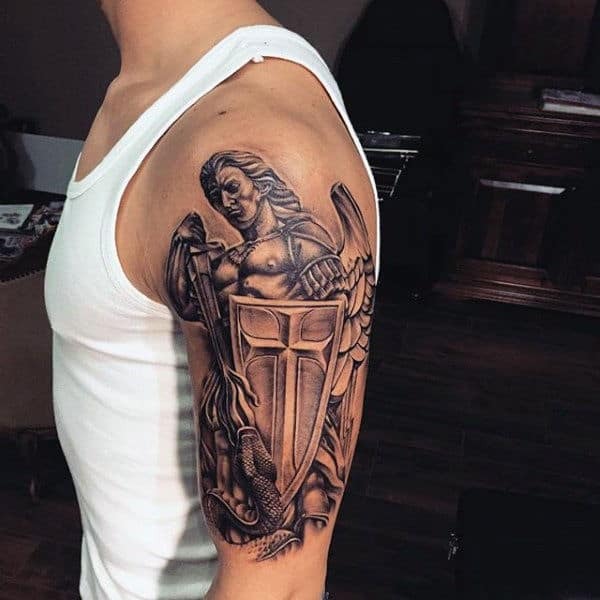 This tattoo shows an angel armed with a sword and wielding a shield. May be he protect you. A good choice if you like angels. 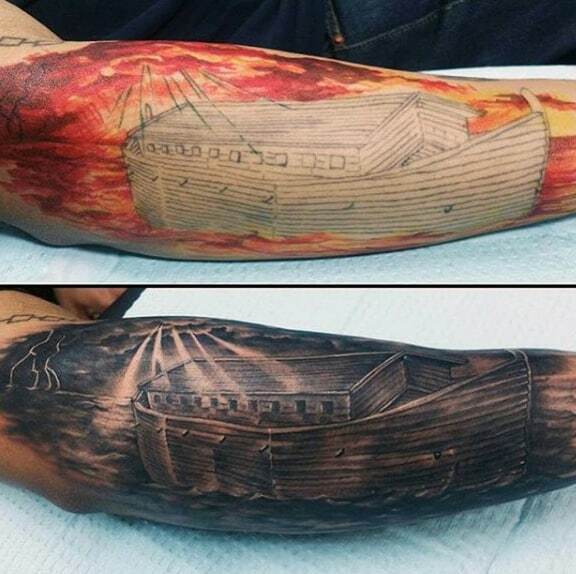 Noah’s ark tattooed on the forearm is simply an excellent tattoo art. It come in a red as the major color or black. The dark finish has an almost intrinsic feel to it. A choice which will be yours to make. 25. Hold your Bible close. 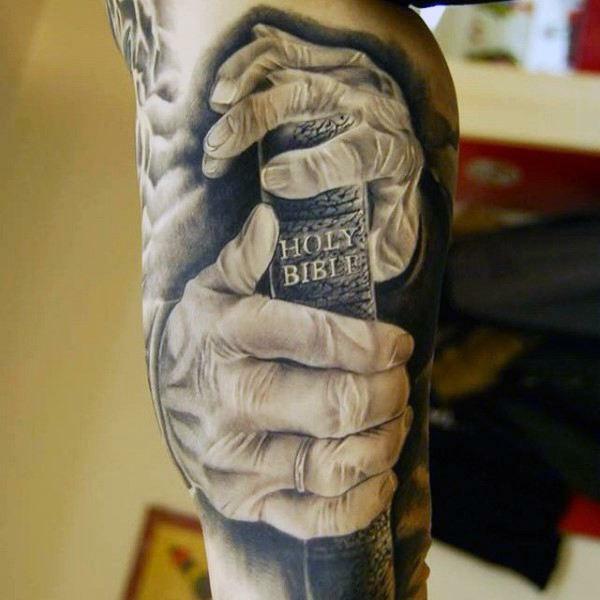 An enchanting tattoo is showing two hands holding a bible close. Whatever religion you belong to, you can easily adopt this style to fit your religious connection. 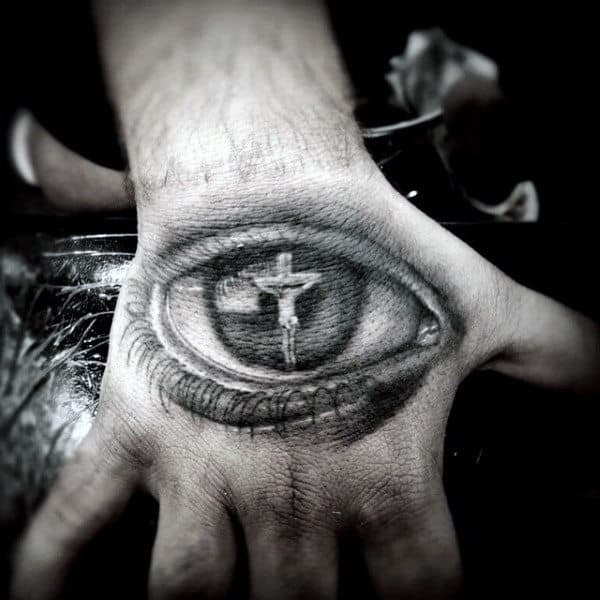 Probably on the most symbolic tattoo amongst the top 25 most amazing religious tattoo ideas for men. 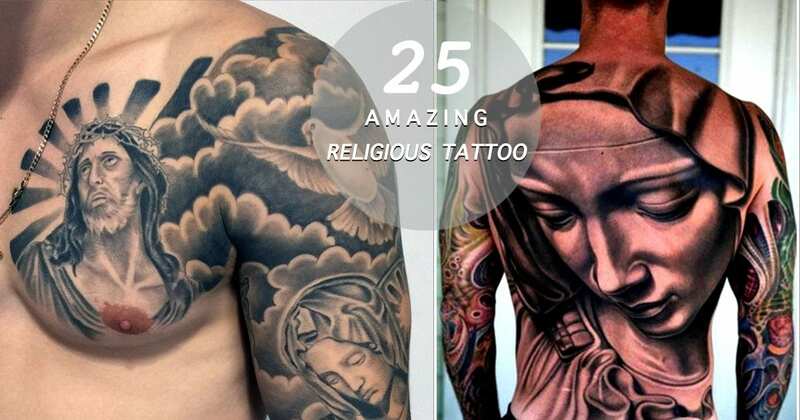 The top 25 most amazing religious tattoo ideas for men is shortlisted of a whole lot tattoo ideas out there. 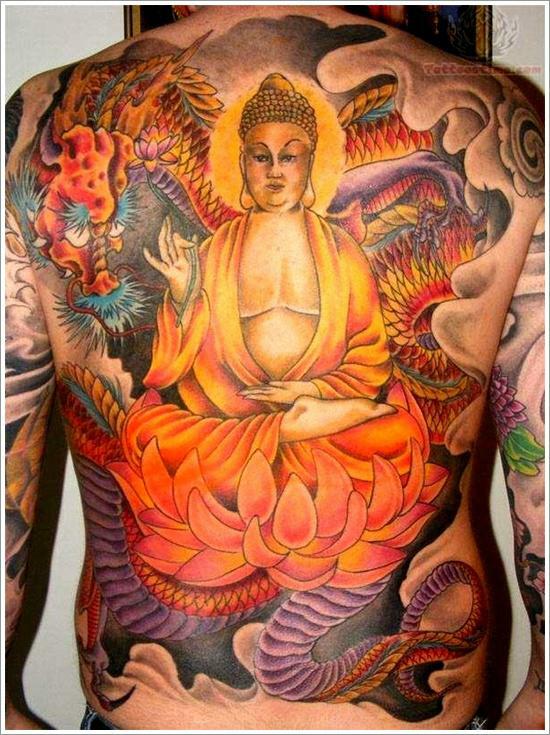 This tattoo can be easily modified to adjust to your beliefs, but it would require a very skillful tattoo artist.